We don’t have this item in our warehouse or stores at the moment, but the supplier has stock. We should be able to get it to you in 4 - 7 business days from when you order it. 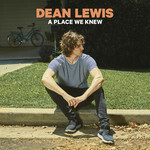 For Dean Lewis, the title A Place We Knew encapsulates the bittersweet memories of past relationships. "All the songs were written through relationships I'd been in and houses I used to live in and hotel rooms." On a plane he heard a phrase that struck him like a bolt of lightning, "An in-flight-radio DJ said, 'I wish that was a place we'd known about' I went to my notes and wrote 'A Place We Knew' and was like, that's the album title. That ties everything together." Lewis sought out several producers to collaborate with on his new album. The British team behind 'Waves' and 'Be Alright', Edd Holloway and Nick Atkinson are ever-present and so too is Melbourne's John Castle ('Don't Hold Me' and 'Chemicals') and Dann Hume ('Time to Go' and title-track 'A Place We Knew'). Sydney-based producer Dylan Nash, whom Lewis refers to as "almost like the co-producer for the whole album", ties a thread between the 12 songs that were written and recorded all over the world giving A Place We Knew its cohesive sound.